A couple of weeks ago, during the #bbloggers chat, I asked for eye cream recommendations. 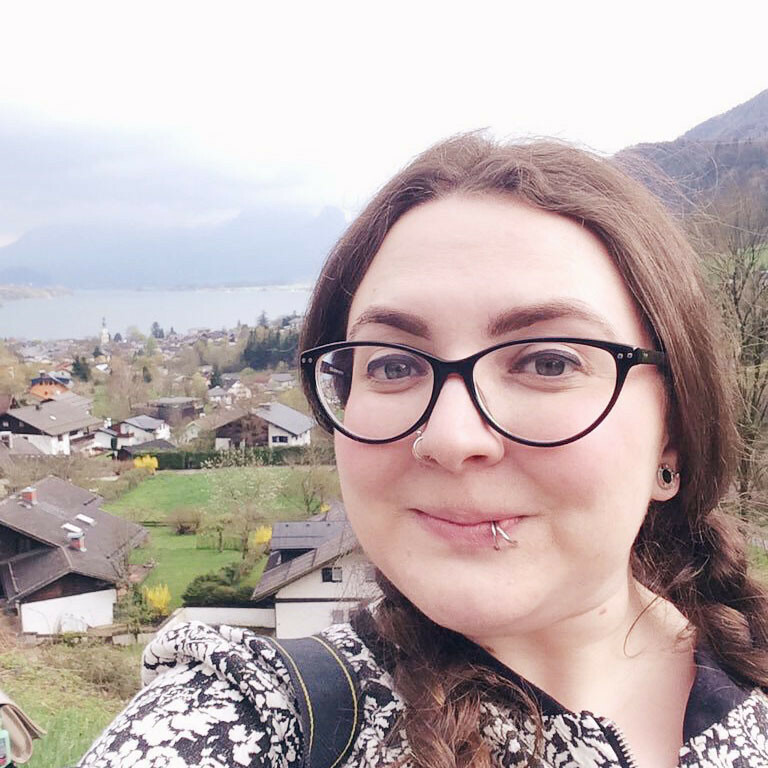 I'm in my mid-twenties now so, you know, I need to start fighting off those wrinkles! 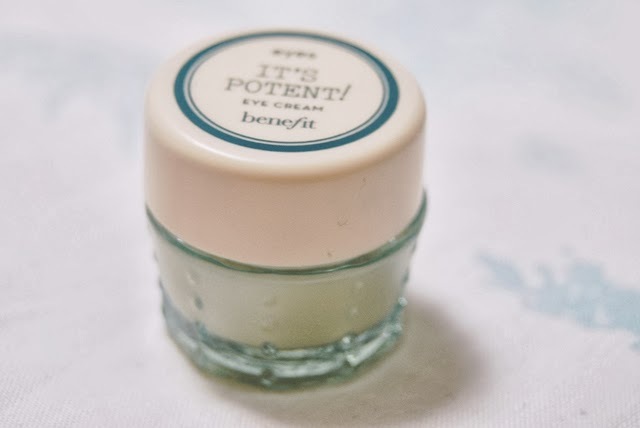 After a few suggestions, Daniella from Famous in Japan, very kindly offered to send me samples of both Origins GinZing (check back tomorrow for that review) and this mini pot of Benefit It's Potent Eye Cream. She also included a lovely little letter, in which she actually felt the need to explain her grammatical error. Whoops, I'm getting quite the reputation! It's ok, Daniella, I let you off! If you've been reading my blog for a while, you'll know that I'm a massive Benefit fangirl. 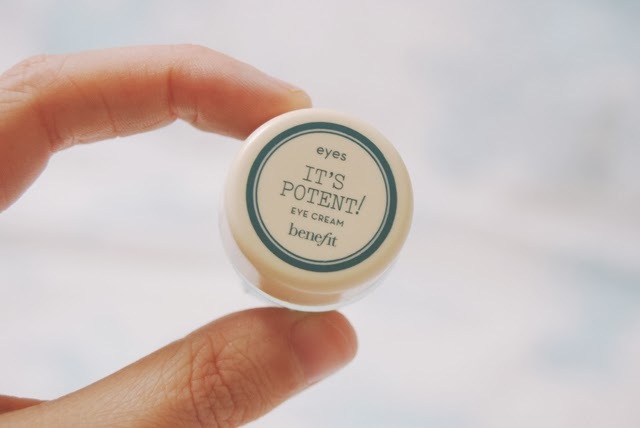 I love their Total Moisture moisturiser so I was very excited to try this eye cream. It's in such an adorable little pot but do remember that this isn't full sized! This is only 3g, whereas the full sized pot is 14.2g so it's quite a bit larger. I can tell from this though, that it's very well made and sturdy. I'll have no worries about it exploding in my bag. On opening the pot (with asecure screw-on lid), I notice the smell is a strongly, alcoholic scent, very similar to whisky. Not exactly the most enticing fragrance! As it applies, the scent seems to fade although maybe it's just that my nose gets used to it. The consistency surprised me, but I like it. It's very light and a little goes a long way. I really only needed a teeny tiny bit to cover my entire under-eye area. It leaves my skin really soft afterwards, if a little whisky-smelling! 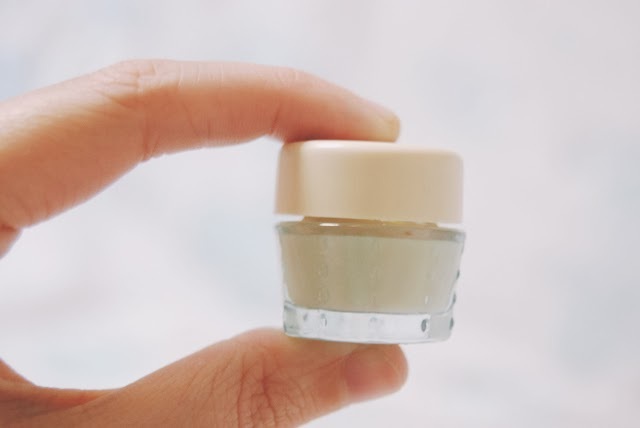 It didn't seem to make any difference to the appearance of dark circles and, as you can imagine, it's pretty hard to measure the results on the improved elasticity that it promises. All in all, I'm pretty disappointed for Benefit. I'll keep going with it and see if it gets any better. I'll let you know my findings. This is like a scientific experiment! Ooh I'll have to see if I can try the Bobbi Brown one. The packaging is adorable. I hope it's as good as it looks! Have a look at the review to see what I thought. It really is, especially as I love Benefit so much! Haha that's really funny! Maybe it will be super powerful?